Editor’s note: New information concerning Father Raymond W. Smart has been received since this story was first posted Jan. 14. It has been edited to reflect that information. Two priests of the Archdiocese of Philadelphia will no longer serve in ministry and a third has been suspended, following allegations of sexual abuse of minors. The archdiocese announced Jan. 13 that Msgr. Joseph L. Logrip, 73, has been placed on leave and his priestly faculties restricted due to an allegation he sexually abused a young person. Although an archdiocesan statement said the alleged abuse occurred “decades ago,” the information was received only recently, and was immediately turned over to a local district attorney to investigate. During the course of that investigation, Msgr. Logrip will not be able to function publicly or present himself as a priest, or be present in any parish or school of the archdiocese. 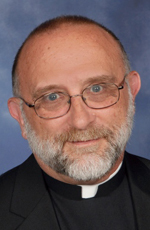 Since 2014 he has served as a chaplain at Camilla Hall, the retirement facility in Immaculata for elderly and sick Immaculate Heart of Mary Sisters, and as a weekend assistant at St. Peter Parish, West Brandywine, since 2017. Those residents and parishioners learned of the suspension over the weekend. In 2011 Msgr. Logrip also was placed on leave with his priestly faculties restricted, based on an allegation he had sexually abused a minor “over two decades before that time,” according to the archdiocese. The suspension came on the heels of the second Philadelphia grand jury investigating sexual abuse of minors in the archdiocese over many years. After law enforcement declined to files charges against the priest, the archdiocesan Office for Investigations began its canonical probe (under church law) of the allegation. Upon reviewing the results of that investigation, the Archdiocesan Professional Responsibilities Review Board found the allegation not to be credible, and recommended that Archbishop Charles Chaput return the priest to active ministry, a recommendation that he accepted in 2014. Msgr. Logrip then began his ministry at Camilla Hall. His priestly faculties will remain restricted until the investigating district attorney’s office completes its work. If no charges are filed, the canonical investigation will begin regarding the latest allegation, repeating the process from 2014. Two other archdiocesan priests also have seen their faculties restricted. Father John F. Meyers, 64, was placed on leave in late 2018 due to an allegation of sexual abuse of a minor in the 1980s, the first such allegation received against him, according to the archdiocese. Following its standard procedure, the archdiocese notified civil authorities of the allegation. After law enforcement declined to file charges it released the case to the archdiocesan Office for Investigations. In time Archbishop Chaput accepted the Review Board’s recommendation, and deemed Father Meyers unsuitable for ministry. The priest’s last assignment was to Malvern Retreat House beginning in 2017. 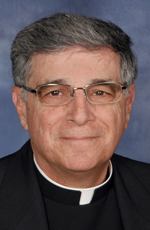 But for years he was a leader in ministry to Latino Catholics in the archdiocese, serving as the coordinator for Hispanic ministry in Bucks County beginning in 2000. He was pastor of the former Our Lady of Fatima Parish in Bensalem for six years from 2005 to 2011, then pastor of multicultural St. Martin of Tours Parish in Philadelphia until 2017. His case will now go to the Vatican’s Congregation for the Doctrine of the Faith to begin a church legal process leading to his laicization, or removal from the clerical state. Father Raymond W. Smart, 74, was deemed unsuitable for ministry, and his faculties restricted, after an allegation of sexual abuse of a minor in the 1980s was reported in the spring of 2018, not in 2017 as had previously been reported. It was substantiated by the archdiocese’s investigation — by procedure, only after civil law enforcement decline to press charges — and the Review Board’s recommendation of unsuitability for ministry was accepted by the archbishop. Due to poor health, Father Smart had been in limited ministry since 1995 after serving at Bishop Shanahan High School, Downingtown. He retired in 2002 and, in newly revealed information, resided at St. Philip Neri Parish, Pennsburg, until 2017. He began living in a private residence in 2017, not since 2002, as had previously been reported. And although he had no official ministerial assignment since 1995, he had also assisted with celebrating Masses at two Montgomery County parishes, St. Eleanor in Collegeville and St. Teresa of Calcutta, Limerick. But the recent suspension was not the first time Father Smart came under the gaze of investigators. In 2011 the archdiocese, after civil authorities turned over an allegation to church investigators, found a complaint that Father Smart had sexually abused a minor not to be credible. The person making the complaint “did not provide information as to where the abuse was alleged to have occurred,” the archdiocese said. Since the allegation was unsubstantiated, the archbishop accepted the Review Board’s recommendation to find Father Smart suitable for ministry. But due to his poor health, he did not receive a new assignment. His faculties were restricted in February 2017 after an archdiocesan investigation found that a newly received allegation from the previous year concerning behavior with an adult was credible. Although not criminal in nature, the unnamed activity was found to violate the church’s norms of behavior expected by priests, deacons and church workers. Finally last spring a new allegation against Father Smart was received concerning the sexual abuse of a minor in the 1980s. Again by procedure, the report was investigated by civil authorities, declined then taken up by church investigators, who found it to be credible. Following the Review Board’s recommendation, the archbishop deemed Father Smart unsuitable and permanently restricted his priestly faculties. His case also now goes to the Vatican for a legal process that may lead to his removal from the clerical state. All three of the priests’ cases followed the same path established by the archdiocese for handling complaints against clergymen, be they sexual abuse of minors or improper activity among adults: an allegation is received and is immediately sent to law enforcement; only after charges are not filed do church investigators take up the case, informing the Review Board, which makes a recommendation for a priest’s ministry to the Archbishop of Philadelphia. The archdiocesan Office for Investigations currently is led by John Delaney, a career prosecutor and former first assistant district attorney for the City and County of Philadelphia. The Review Board was established in 2002 and is composed of 12 men and women, both Catholic and non-Catholic, “who possess extensive professional experience in investigation, prosecution, child abuse prevention, victim services, and the treatment of sexual offenders,” according to the archdiocese. Anyone wishing to report an allegation of sexual abuse, or any other criminal activity perpetrated by a priest, deacon, employee, or volunteer of the Archdiocese of Philadelphia, may contact a local law enforcement agency and/or the archdiocesan Office for Investigations at 1-888-930-9010. That office may also be contacted to report a violation of the Standards of Ministerial Behavior and Boundaries. Msgr. Joseph L. Logrip was ordained in 1972 and served at the following parishes, schools and institutions: St. Ignatius, Yardley (1972-1974); St. Rose of Lima, North Wales (1974-1975); Bishop Kenrick High School (1974-1983); Epiphany of Our Lord, Plymouth Meeting (1975-1981); St. Gabriel’s Hall (1981-1983); Archbishop Carroll High School (1983-1990); St. Francis of Assisi, Norristown (1990-1992); St. Monica, Philadelphia (1992-1994); Mater Dolorosa, Philadelphia (1994-2000); Immaculate Conception, Levittown (2000-2007); SS. Philip and James, Exton (2007-2008); Mother of Divine Grace, Philadelphia (2008-2010); chaplain, St. Mary Manor (2010-2011); St. Stanislaus, Lansdale (2010-2011); placed on administrative leave and faculties restricted (2011); found suitable for ministry (2014); chaplain, Camilla Hall (2014-2019); St. Peter Parish, West Brandywine (2017-2019); placed on administrative leave and faculties restricted (2019). 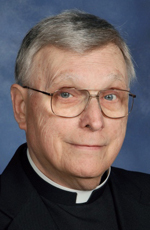 Father John F. Meyers was ordained in 1983 and served at the following parishes, schools and institutions: St. Michael Parish, Philadelphia (1983-1984); St. Joseph Parish, Aston (1984-1985); St. Gabriel Parish, Norwood (1985-1988); Archbishop Prendergast High School, Drexel Hill (1988); St. John Bosco Parish, Hatboro (1988-1990); Cathedral Basilica of SS. Peter and Paul, Philadelphia (1990-1992); St. Mark Parish, Bristol (1992-1993); St. Philomena Parish, Lansdowne (1993-1997); St. Dominic Parish, Philadelphia (1997-1999); St. Katharine Drexel Parish, Chester (1999-2000); coordinator of Hispanic Ministry for Bucks County (2000-2005); St. Mark Parish, Bristol (2003); Our Lady of Fatima Parish, Bensalem (2005-2011); St. Martin of Tours Parish, Philadelphia (2011-2017); St. Anthony of Padua Parish, Ambler (2017); Malvern Retreat House (2017-2018); placed on administrative leave and priestly faculties restricted (2018); found unsuitable for ministry (2019). Father Raymond W. Smart was ordained in 1970 and served at the following parishes, schools and institutions in the Archdiocese of Philadelphia: St. Helena Parish, Center Square (1970-1974); Newman Chaplain, Montgomery County Community College (1971-1974); St. Pius X High School, Pottstown (1974-1982); St. Hubert Catholic High School for Girls, Philadelphia (1982-1983); Chaplain, St. Gabriel’s Hall, Audubon (1983-1989); Bishop Kenrick High School, Norristown (1983-1991); Bishop Shanahan High School, Downingtown (1991-1995); health leave (1995-2002); retired (2002); in residence at St. Philip Neri Parish, Pennsburg (2002-2017); priestly faculties restricted and moved to private residence (2017); found unsuitable for ministry (2018). In addition to the above noted parish assignments it is known that Father Smart occasionally assisted with the celebration of Mass at St. Eleanor Parish, Collegeville, and St. Teresa of Calcutta Parish, Limerick, during the period of his retirement and prior to the restriction of his priestly faculties. I don’t understand how an unsubstantiated claim against a priest would make the person unsuitable for ministry. No charges made by police yet the Church finds them guilty without a hearing. Doesn’t make sense to me. Father Smart also assisted with the celebration of Mass and the hearing of confessions at Saint Maria Goretti Parish in Hatfield during the period of his retirement and prior to the restriction of his priestly faculties.